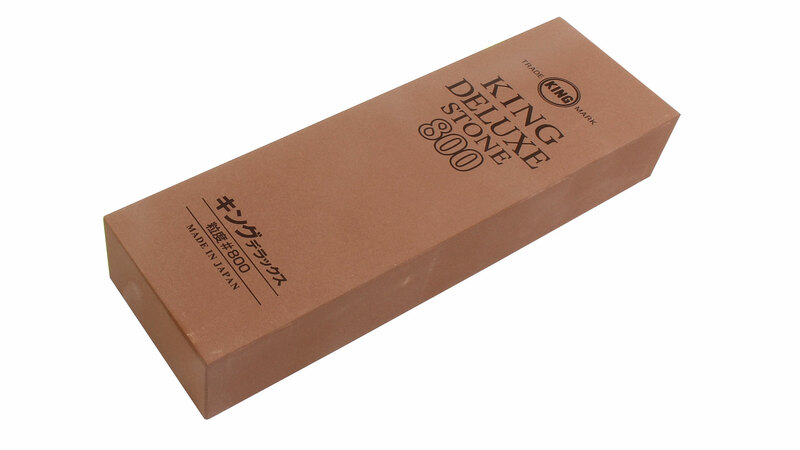 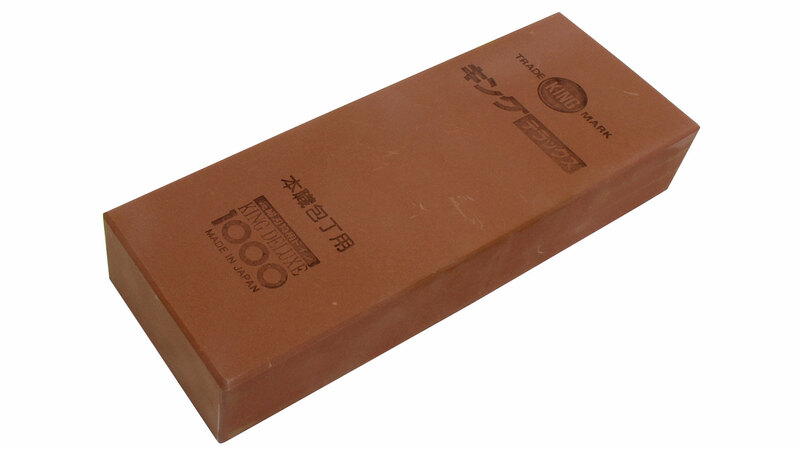 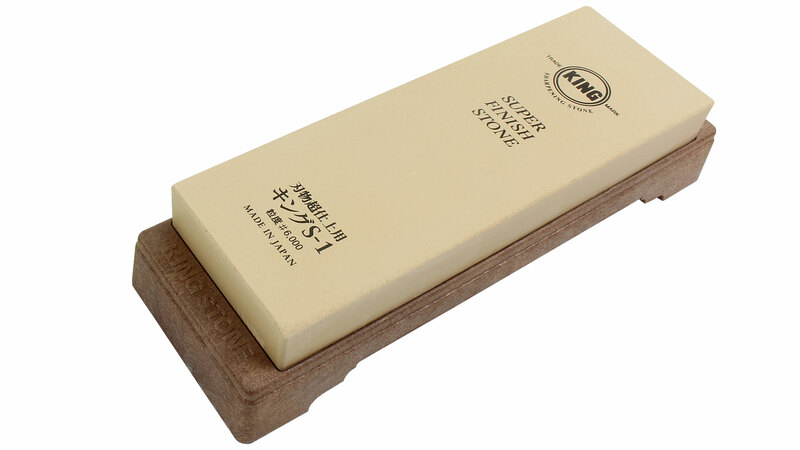 The Japanese sharpening stone manufacturer Matsunaga, in Osaka, with King and Sun Tiger among its brands, is the oldest and best-known maker of Japanese water stones in the West. 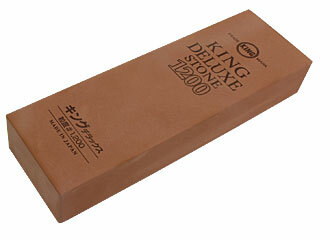 King stones are relatively soft and pleasant to use, because one can see and feel how the stone cuts the surface. 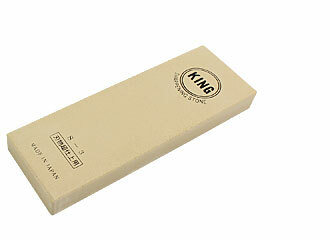 This type of soft stone must be flattened relatively frequently, however, as it quickly becomes dished. 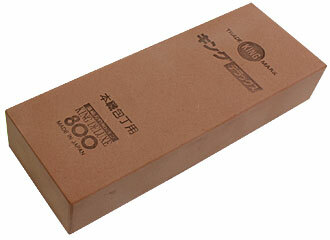 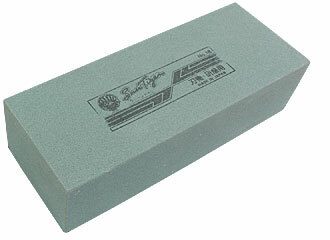 The 240 grit whetstone from Sun Tiger is also quite soft and will also become dished fairly quickly. 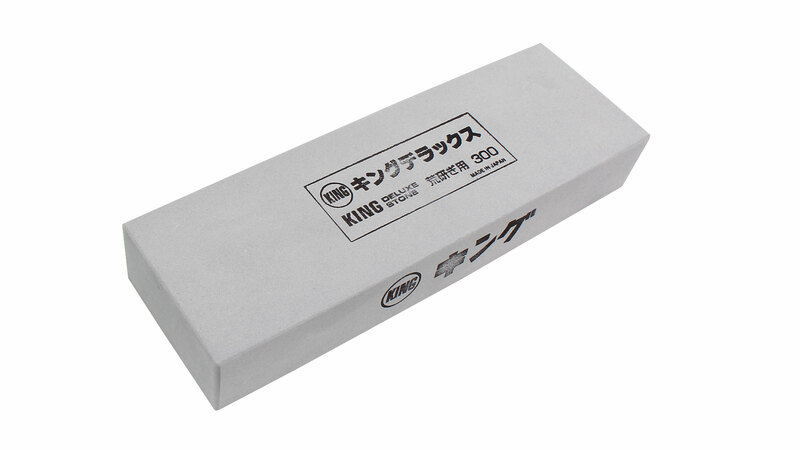 But it makes up for this by cutting very quickly and by proving useful for removing chips and nicks in the blades of chisels and knives. You can remove a chip in a knife within a few minutes, but with chisels or plane blades it is best to check often whether you haven’t dished the relatively soft stone. 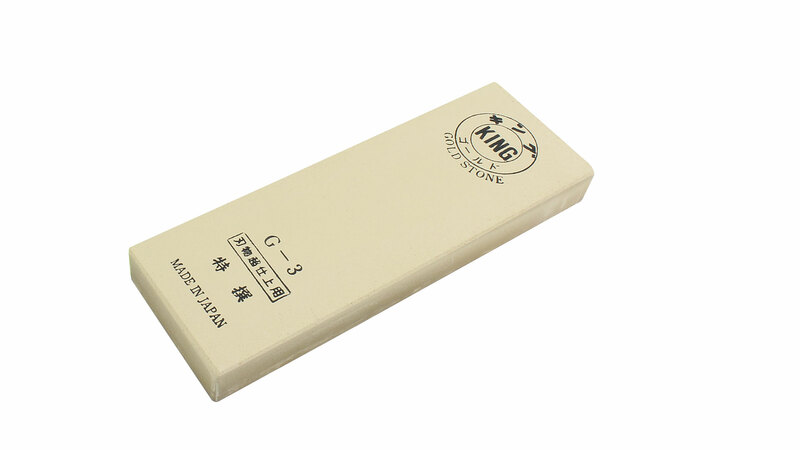 When you sharpen a knife, you will help the stone to stay flat for longer if you move the blade evenly over the whole stone. 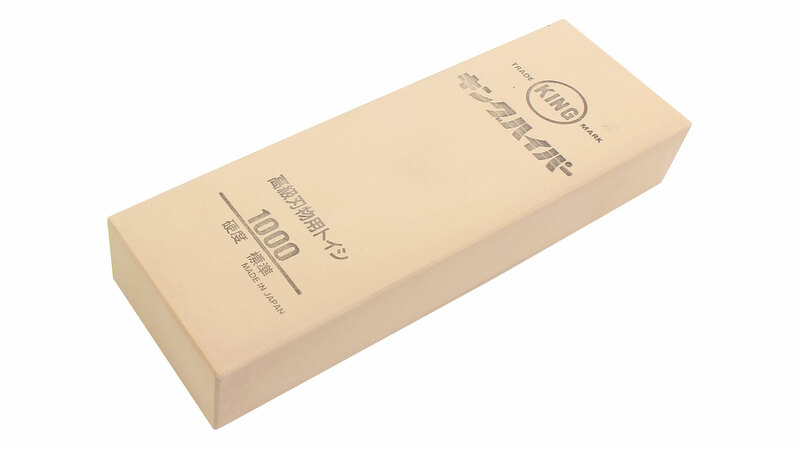 But if you need to sharpen a whole bunch of chisels, the stone may start out flat, cutting a nice even bevel on the first chisel, but be so dished by the last chisel that you would have to flatten the stone once more and start all over again. The softer the stone, the more it needs to be watched, and the more frequently it needs to be flattened. This is not everyone's cup of tea, but if you accept the need for this, you will enjoy the services of a wonderfully quick-working stone. 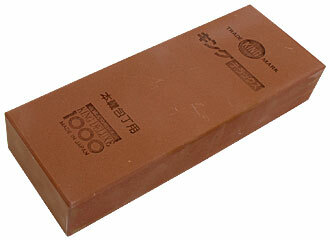 The Sun Tiger 240 also needs much less pressure than, say, the Shapton 120. 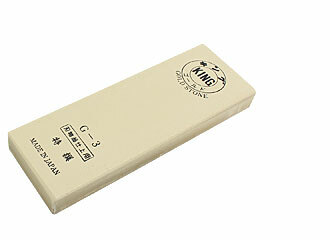 The softer stone simply grips and starts cutting from the first stroke. 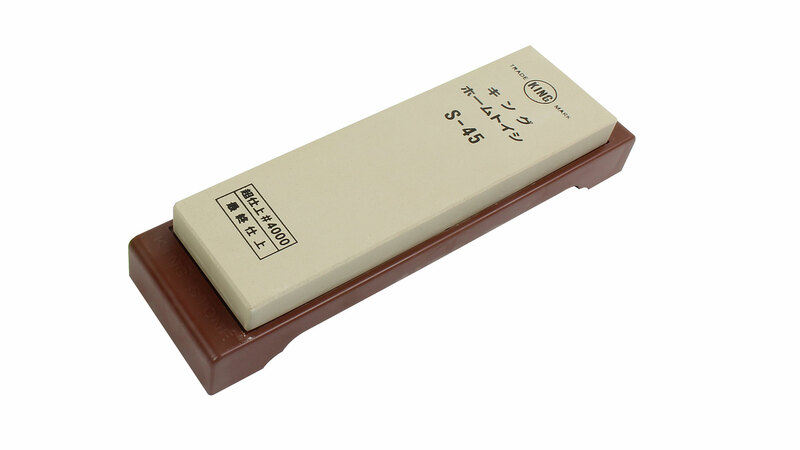 This stone is liked for its extremely high removal rate and loathed for the propensity of the sharpening surface to become dished. You’ll need to dress the stone more frequently, but it’s a quick job on this stone. Note: Use this stone for carbon steel blades only. 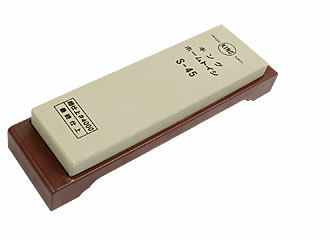 Alloyed steel will clog up the sharpening surface. 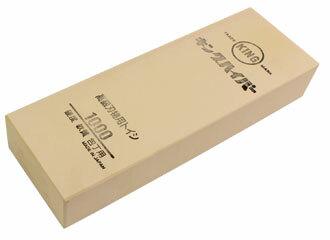 At 75 mm across, this water stone is a lot wider than standard stones. 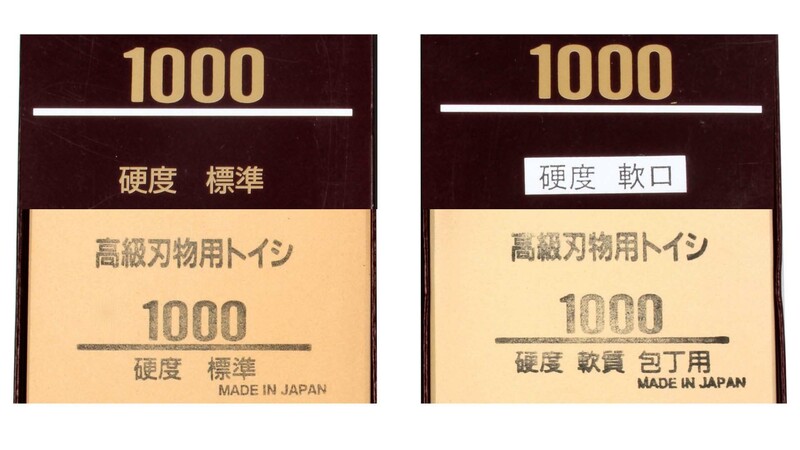 The King 1000 Hyper Standard and King Hyper Soft 1000 are quite similar in colour. Moreover, the packaging and the labelling on both the packaging and the stone itself are virtually the same so that they are difficult to keep apart. 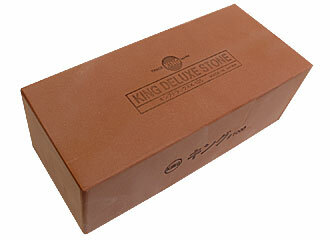 Here are some tips on how to differentiate between the stones. 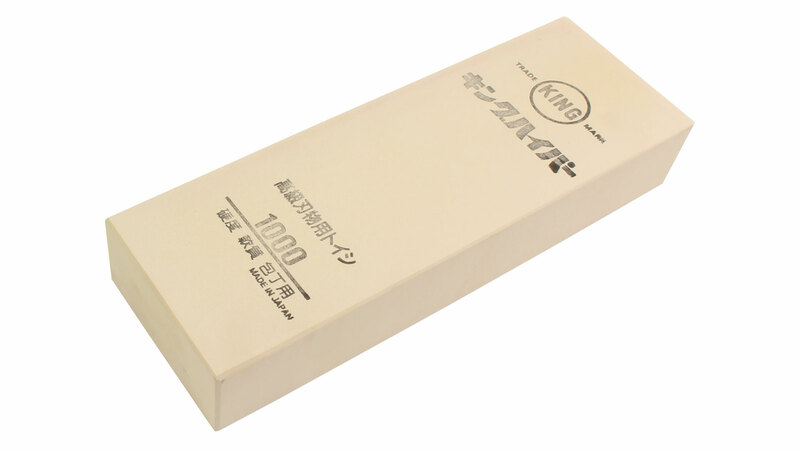 In any case, it’s a good idea to mark the face of the stone with a waterproof pen. characters left as on packaging, see image above right. 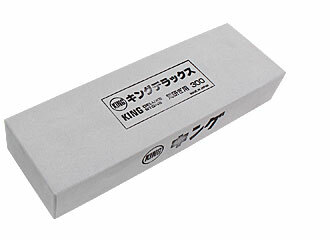 Even more effective than the King Hyper Standard. On the downside, this stone tends to dish faster. 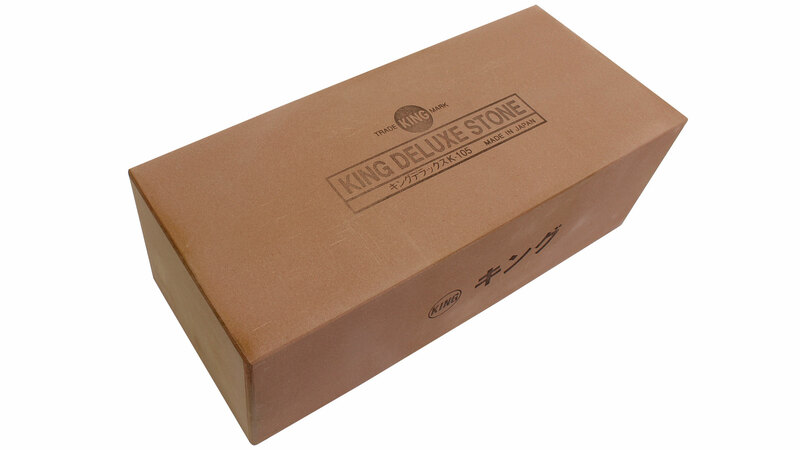 But like other King stones with a relatively loose grit bond, this stone is quickly dressed again by conventional methods. 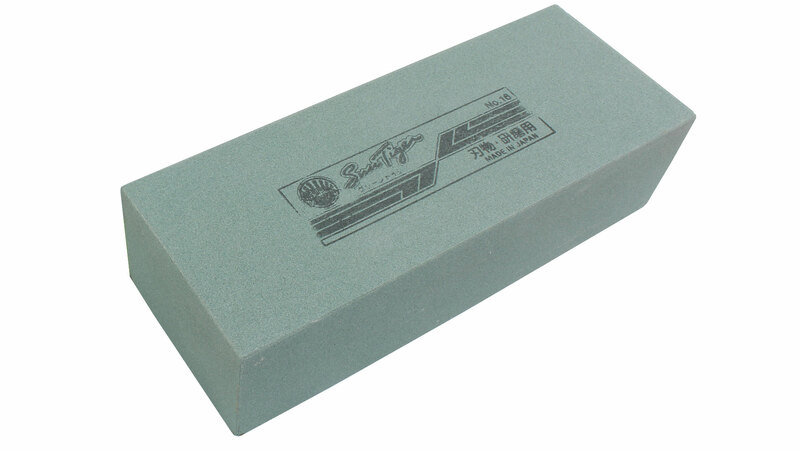 Results achievable with this stone are often perfectly adequate for woodworking tools. 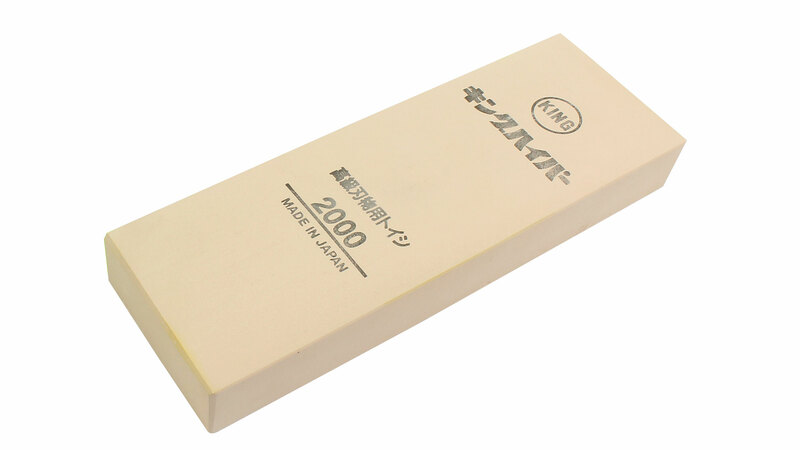 A beginner or someone who only rarely turns his hand to sharpening tools may struggle to see a satisfactory result with a 6000 grit stone and will be very much better served by this stone for honing and finishing. 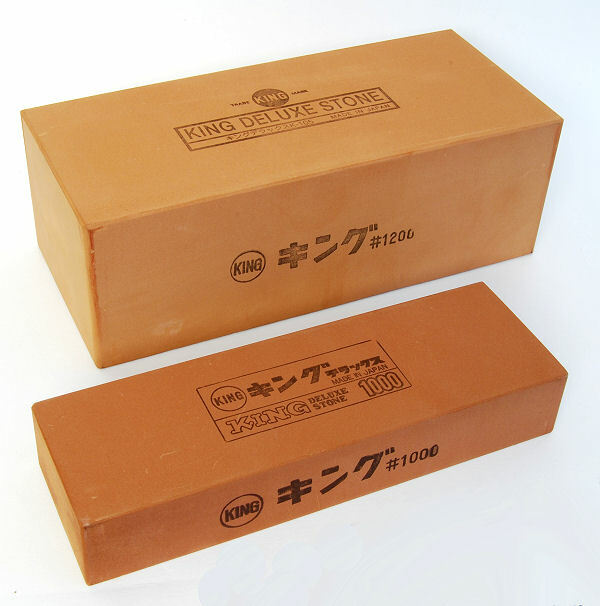 King giant stones Get your money’s worth with these large general-purpose water stones. 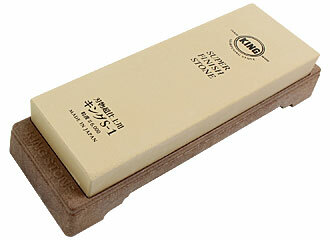 You save about 40 % by volume compared with standard-sized stones. 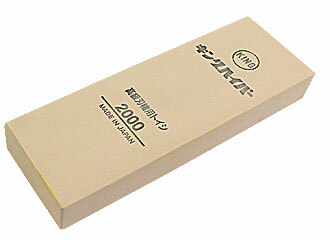 Recommended for anybody with a lot of tools to sharpen. 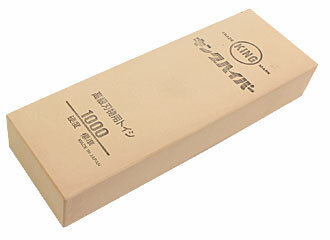 Weight 4 kg (9 lb)!